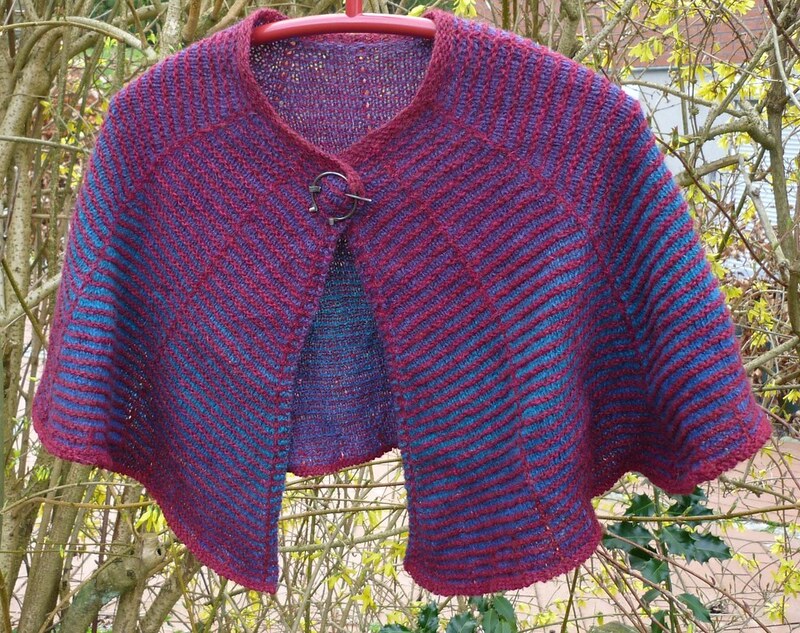 The Lottorp Shawl offers a nice change of structure, stockinette and garter stitch, as well as a nice change of colour. The shawl is made up of 5 segments. They add up to 5/8th of a circle. The way these segments are knit produces a neckline that fits the circumference of the neck and settles the shawl comfortable on the shoulders. 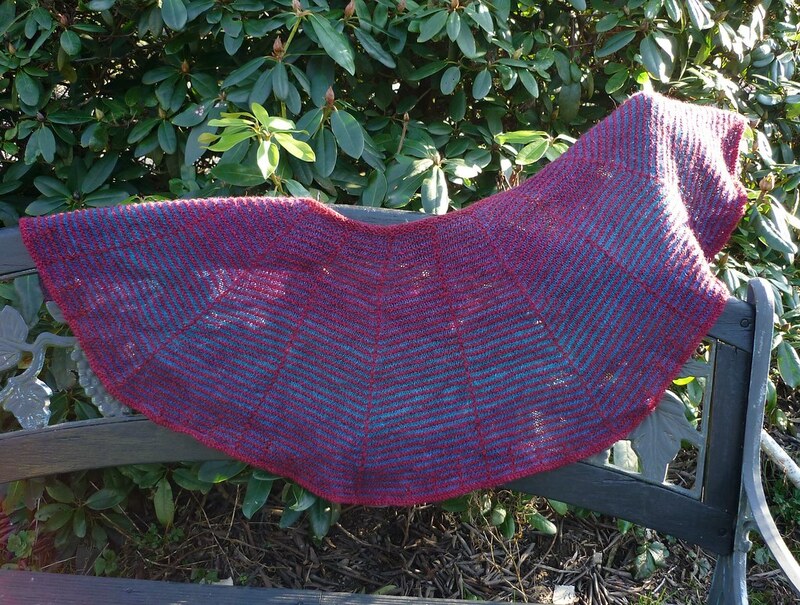 The shawl is adjustable to any size by adding or leaving out rows. 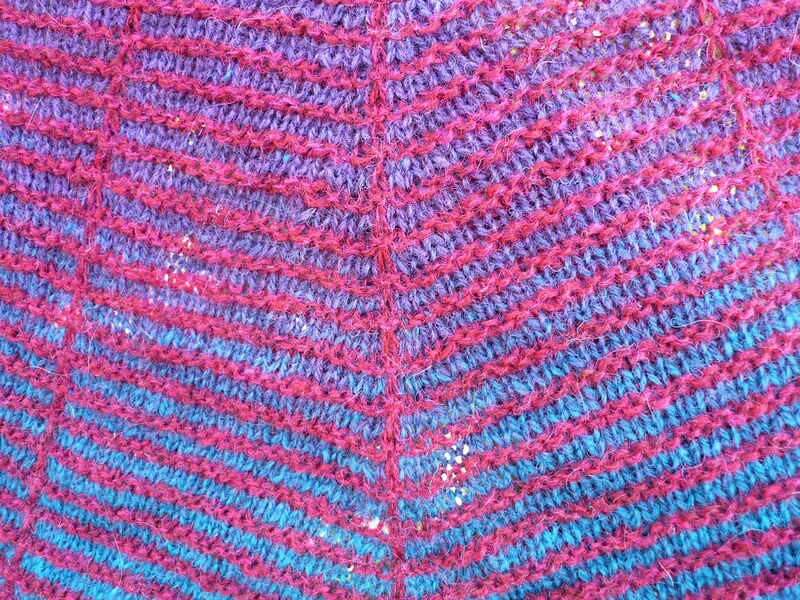 The shawl is also suited for 6-ply sock yarn. This entry was posted on März 31, 2012 um 5:53 pm	and is filed under # Patterns, - Shawls etc.. You can follow any responses to this entry through the RSS 2.0 feed. You can leave a response, oder trackback from your own site. It’s lovely! For those of us who don’t have access to the recommended yarn, what weight is it? I love the shaping in this shawl; thank you for sharing it! The weight is in the pattern as well, 100 grams and 300 metres for each skein. I’m looking at the pattern and I see 100 grams but I don’t see the total of Skeins I need to buy to complete the project. you need 100 grams of each of the two colourways, which means 200 grams in total. What is the gauge — stitches per cm or inch — of this yarn? 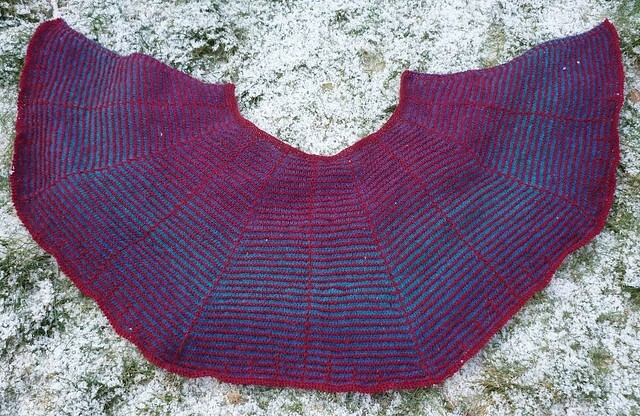 The shawl is great! I have to measure it, but not today any more. It is late evening over here. The gauge: 10 x 10 cm is 20 stitches and 33 rows. Rows 5 and 6: (5 times) between * ? Make 5 segments according to „Instructions“? Yes, you have to continue as established.